Airbus plans to cap its takeover of the Bombardier CSeries jetliner by scrapping the Canadian plane’s 14-year-old branding, people familiar with the plan said. Rebranding the jet, which would slot in below Airbus’s A320-family narrowbodies, would help fold it into the European company’s lineup and provide some reassurance to potential buyers about its long-term future, the people said. The change is likely to be announced soon after the purchase of a controlling stake closes, potentially in time for the Farnborough Air Show in July. The name also harked back to planemaker Canadair, which formed the core of Bombardier Aerospace after its acquisition in 1986, and hinted at the model’s aim of breaking the existing single-aisle duopoly, with “A” representing Airbus and “B” Boeing. The A200 designation would depart from Airbus’ practice of naming passenger jets based on the original A300 model — which has reached A380 for the company’s superjumbo — and would provide it with options should the CSeries be used as a basis to develop new aircraft platforms. CSeries parts contracts will be reviewed once the deal closes with the aim of persuading suppliers to sweeten terms on the basis that Airbus’ scale and industrial clout are likely to swell orders and boost production volumes, Klaus Richter, the group’s procurement chief, said Wednesday at the Berlin Air Show. 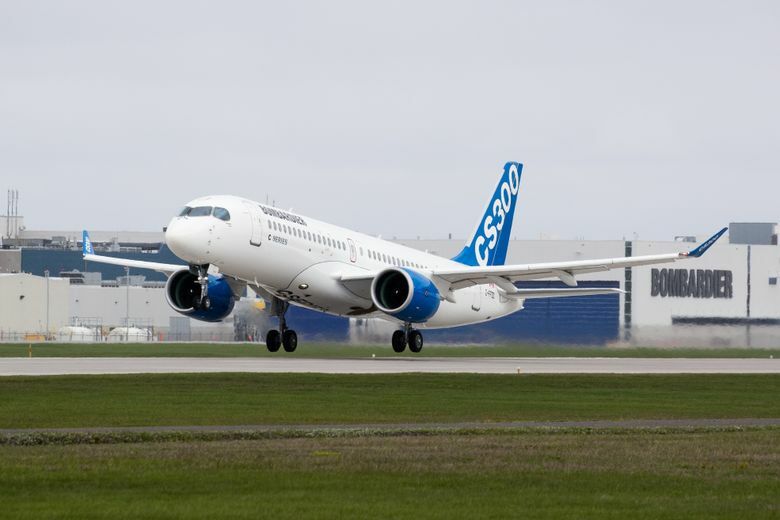 Customer interest in the CSeries has increased exponentially since the Airbus accord was announced, Bombardier Chief Executive Officer Alain Bellemare said last week. “All of a sudden, with the Airbus sales and marketing organization behind that, we have access to pretty much all airline customers around the world,” he said in Montreal, where the company is based.